Supporting non-traditional, under exposed and underground art forms to help create the right environment for our network of artists to thrive in Egypt. Our work is spread to empower both professional artists and beginners. Build the capacity of comic artists. A new magazine issued by Mazg through the "Info Comix" workshop" that aims to address the idea of "freedom of knowledge", in collaboration with Support for Information Technology Center. Mazg seeks to decentralize its activities, and direct its efforts towards outreach and discovering young local talents living in the suburbs and rural areas around Egypt, as well as the centre, Cairo. Within the context of our Outreach campaigns, we launched the Time Difference Workshops, which is targeted at governorates. 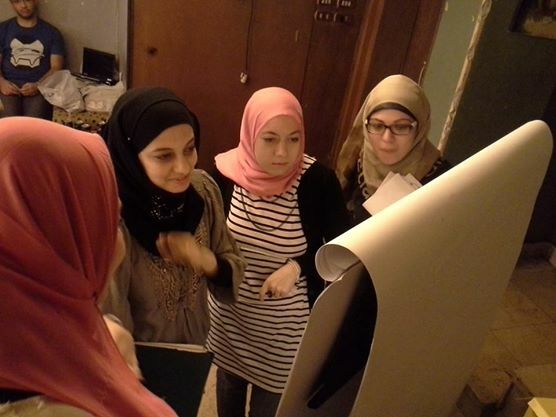 The workshops apply the curriculum that Mazg developed in collaboration with ADEF. Participants learn the techniques of creating comics, and writing scripts for comics. 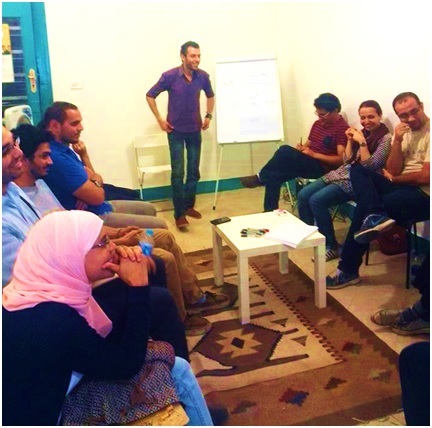 The first workshop was organized in June 2013, in Alexandria, the second largely populated city in Cairo. 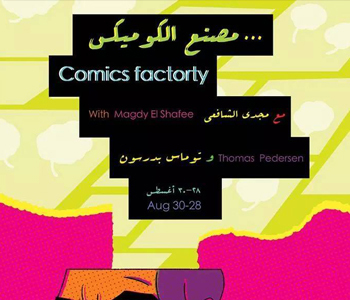 This was organized in coordination with Comicsawy, a group that works to promote the art of comic art in Egypt. The workshop was instructed by professional comic artists, including Hesham Rahma for illustration and Tamer Abdel Hamid for scriptwriting. 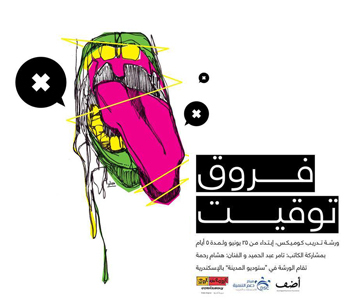 Out of 65 applications received through an open call, 14 young artists made it successfully to the workshop. 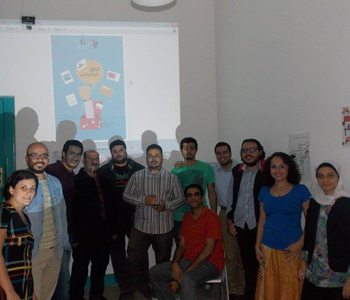 The second workshop was organized during October 2013 in Mansoura, in coordination with Books &Beans Bookstore. 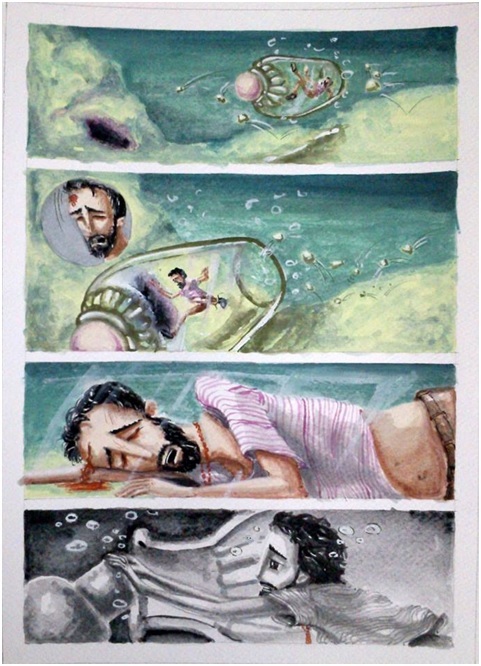 It was instructed by Magdy El Shafie for illustration, and the scriptwriter Mohamed Ismail Amin. Out of 30 applicants, 12 young artists made it successfully to the workshop. 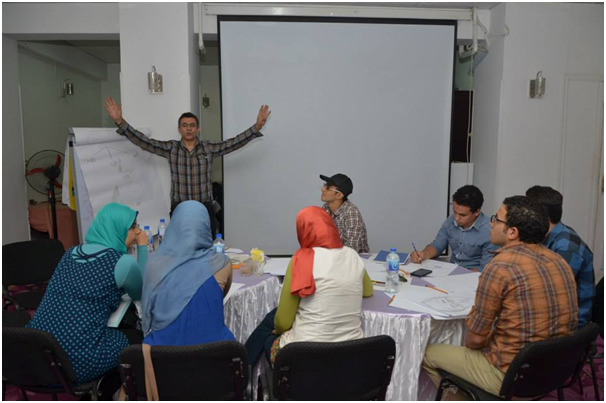 The third workshop was organized during June 2014 in Sohag, in coordination with Koshk Elmedia. 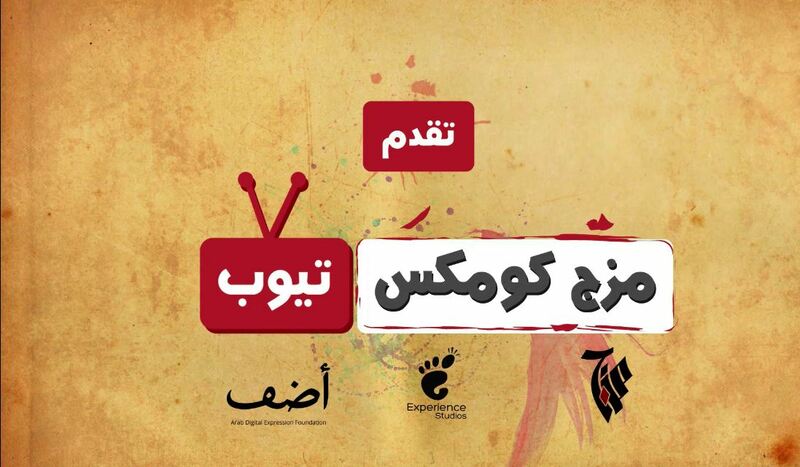 It was instructed by the comics artist Magdy El Shafie and scriptwriter Mohamed Ismail Amin. 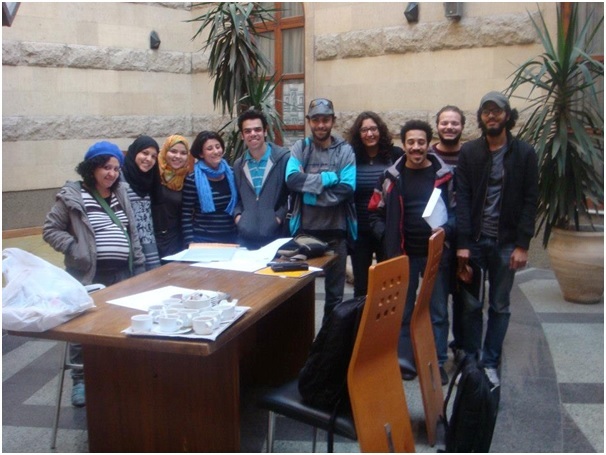 Out of 40 applicants, 13 young fresh talented artists made it successfully through the workshop, this workshop was funded by The Danish Egyptian Dialogue Institute "DEDI". 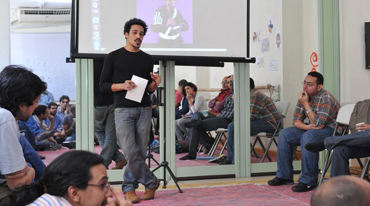 The Fourth workshop was organized during October 2014 in EL Menya , in coordination with Dawar El Fnoon. 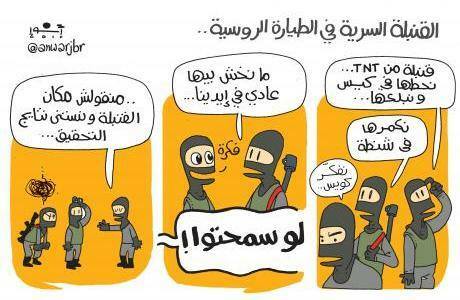 It was instructed by the comics artist Mohamed Khaled. Out of 30 applicants, 12 young fresh talented artists made it successfully through the workshop The Time Difference workshops are supported by the Development Support Centre (DSC) and the Arab Digital Expression Foundation (ADEF). Held in August 2014 in Cairo in coordination with DEDI. 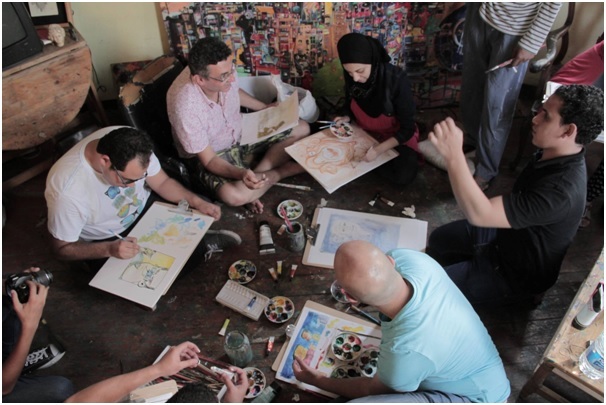 It was a specialized comic art training program for young and emerging visual artists and writers from Egypt, instructed by Egyptian and Danish Comics artists; Thomas Friis Pedersen and Magdy EL Shafie. 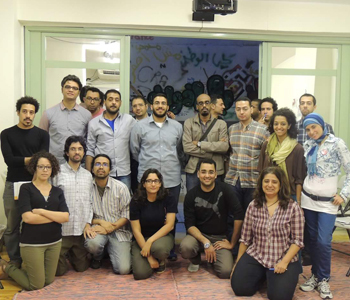 They trained 10 selected artists, who already participated in Mazg’s previous workshops from around Egypt. 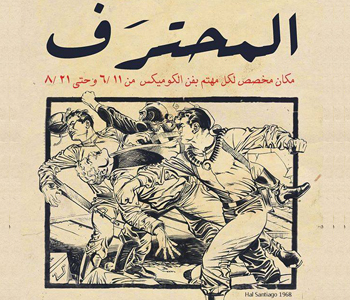 During this factory, the participants along with the instructors, managed to produce a collective comic album " The Express". 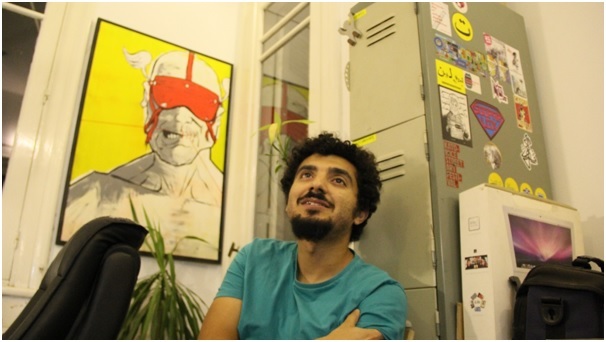 Mazg produced a documentary film - Comics Byl Masry - about the history of comics in Egypt and it has been screened at creativity centre in the Opera house. 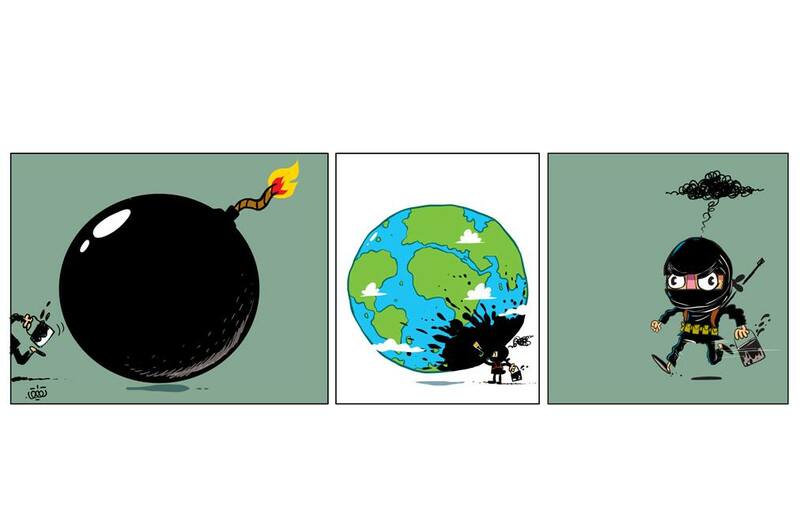 In collaboration with the Swedish institute Alexandria and the Swedish institute Stockholm, Mazg has organized Facing the climate change event, which included a competition for the best comic strip or cartoon about the climate change. 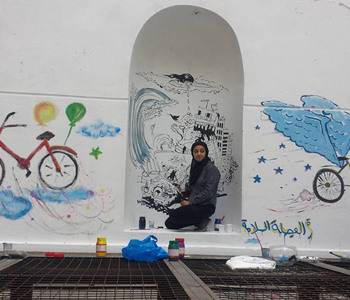 The event also included drawing graffiti on the wall of the creativity center in Alexandria by the many Egyptian artists on the same topic. The event took place at 27 and 28th of Nov 2015. 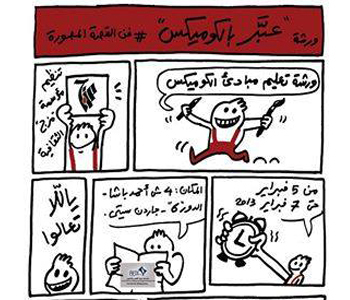 Al-Mohtaraf is a training workshop for young comic artists which took place during 3 months from Jun until Sep 2015. 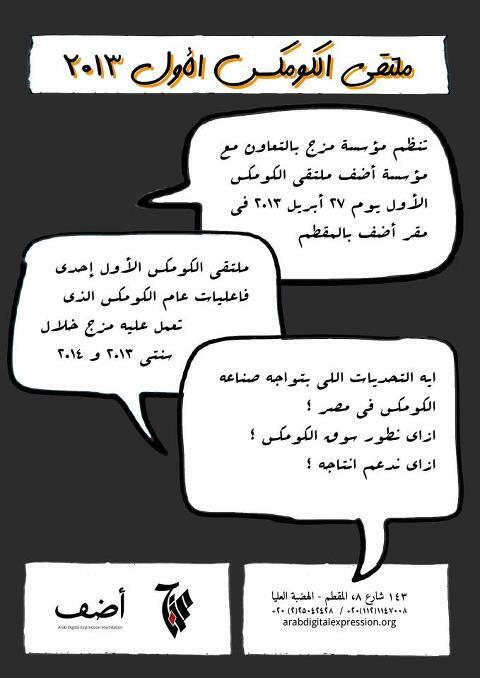 Info comics is a workshop in collaboration with "Support for Information Technology Center". 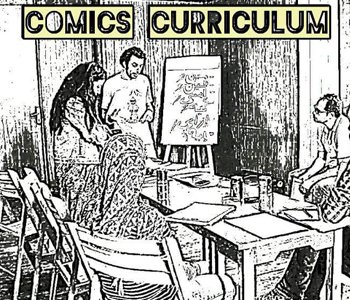 The goal of the workshop is to express the idea of "freedom of knowledge" in a comic book. 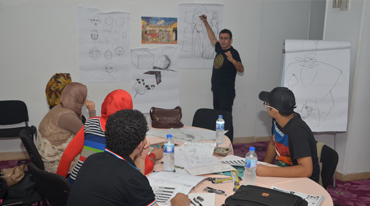 Ten comic artists are trained in two days on the principles of freedom of knowledge to create comic scenarios of Egypt's daily life and the people right to access knowledge and circulation of information. The output of this workshop is "Allak Feen?" magazine which was released in April 2016. 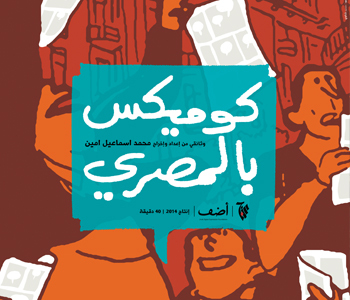 A book containing ten graphic stories from many different cities around Egypt, who are creating comics for the first time. These stories were developed during the Comic Factory workshop in 2014. 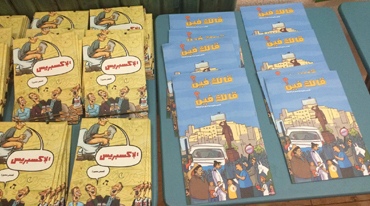 The first Comics Forum was organized in April 2013 and was hosted by ADEF, with the participation of Egyptian comics’ artists, writers and potential comics publishers. The discussion panel discussed the challenges facing the comics industry, the problems of publishing comics’ novels in Egypt and the recommended solutions. Highlight was brought on the most important initiatives in the comics industry during the past 5 years. 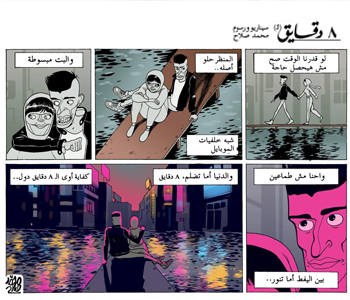 Out Of Cadre is an Egyptian comic series" which has been set in collaboration between Mazg and Correspondents "the Internet platform for young and seasoned journalists from Tunisia, Egypt and Libya". The project gives the opportunity to many artists to practice the comic journalism and tackle topics that the written journalism can't, in an artistic way. Mazg seeks to create an arena, where the stake holders of the industry can network in order to create synergies among them that should lead to cooperation and co-productions. Mazg also encourages publishing houses to take on the production, distribution and publishing of the comics and graphic novels. The New home for comics. قريبا في مجلة : "ماحدش عارف حاجة" نتاج ورشة: "انفو كوميكس"